* Free shipping is for the contiguous USA, orders shipping to Canada, Alaska or Hawaii could incur additional shipping charges. Place your order and then call 1-877-258-7423 with your order number to request expedited shipping. The PVI solid wheelchair ramp is a one piece, non-folding ramp. 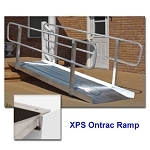 These ramps are ADA compliant* when used at a 1:12 ratio and a 36" wide model is used. 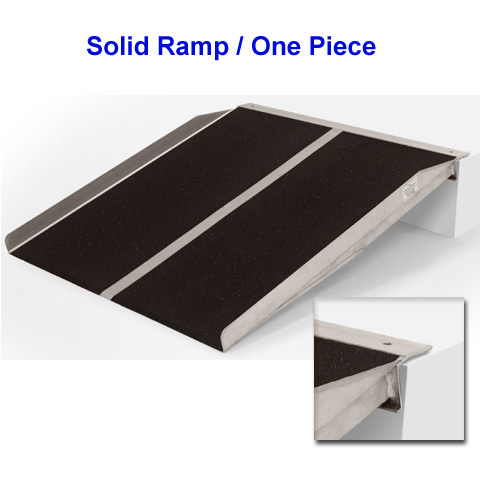 The wheelchair ramp features, 2" curb edge, non skid surface and all aluminum construction. Perfect for steps up to 5" in height (ADA) or a maximum of a 10" in height for private residential use (5' model.) Simply remove the ramp from the box and position it on your step. The solid ramp should be attached to your step with screws or bolts in order to keep the ramp from slipping off. 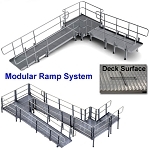 If you're looking for a ramp with handrails please see the Modular Ramp page or the Ontrac Ramp page. 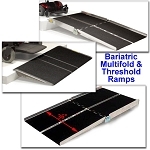 Ramps come with a Limited Lifetime Warranty and free shipping in the lower 48 states. * May not be compliant in CA or MA, check your local codes. Call 1-877-258-7423 if you need assistance. Please call us at 1-877-258-7423 for custom configurations on any of our products. Or email us at info@disabilitysystems.com with your request. Please email your drawings to info@disabilitysystems.com and follow-up with a call to discuss your project. Purchase orders should also be emailed to info@disabilitysystems.com with a follow-up call to ensure we received it. Copyright Disability Systems, Inc.. All Rights Reserved. by 3DCart Web Store Software.